Paleo Principles is the most comprehensive resource to date for those seeking a scientifically founded nutritional approach to optimal health. 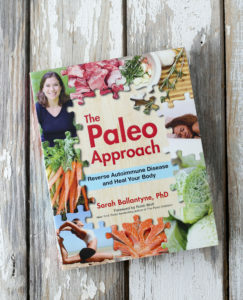 In her signature approachable yet scientifically detailed style, Sarah Ballantyne, PhD, has laid a complete foundation for understanding the principles of the Paleo template in order to inform and empower your day-to-day choices. Combined with an unprecedented collection of practical strategies, tips, and visual guides, plus more than 200 delicious recipes and twenty meal plans for diverse health goals, this book is a one-stop-shop for nutrition nerd, health nut, and gourmand alike. 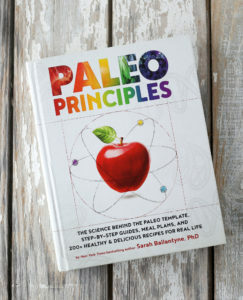 With the perfect balance of detailed explanations, accessible summaries of actionable information, and visual guides, Paleo Principles provides everything you need to achieve your best health. 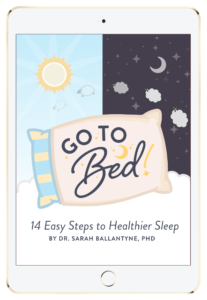 Go To Bed is the most comprehensive guidebook ever created for improving sleep, with the detailed science of sleep for optimal health and every scientifically-validated tip and trick for improving sleep! With this innovative online program, you’ll learn how much sleep you actually need and how to get it! Even more importantly, you’ll learn what small changes you can make during the day to improve your sleep at night! The Go To Bed program includes a 350+ page guidebook, packed with information and inspiration, 14-day Sleep Challenge, plus a 58-page Quickstart Guide and an entire toolkit of additional resources including a Sleep Meditation Track and a collection of Printables!! 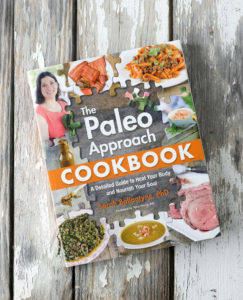 Discover my best tips, tricks and strategies for making Paleo cooking fun and inspiring inside The Paleo Mom’s Kitchen. 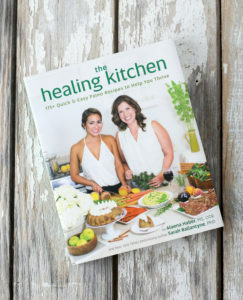 This book includes everything from grocery shopping to stocking your pantry to baking modifications and more. I’ve included a list of my favorite gadgets, insights into feeding your kids Paleo (with tips for both young and school-aged children), life-saving snack suggestions and simple meal templates. 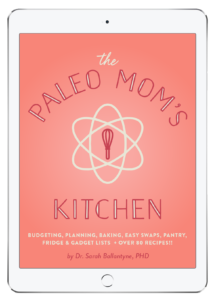 Plus, The Paleo Mom’s Kitchen includes 78 of my best recipes! It’s a find a complete, thorough guide to cooking for a Paleo household. Research shows that how much dietary fiber you eat is a much stronger determinant of health than other dietary factors, dramatically reducing risk of cardiovascular disease, obesity, diabetes and even some forms of cancer. Yet even those following Paleo, Primal and Ancestral diets can fall far short in terms of fiber intake! 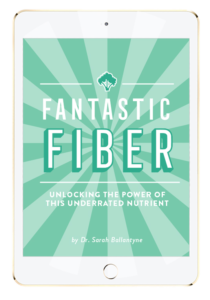 In Fantastic Fiber, I break down the why’s and how’s of adding more of this all-important nutrient to your diet. Not all types of fiber are created equal, so I specify the health effects of different fiber types and bust important fiber myths! I cover why supplementing with fiber isn’t a good idea, how much whole-food fiber we need, and which foods contain the highest amounts of this underrated nutrient. Plus, you’ll get get plenty of tips and handy master recipes to help you eat (and enjoy!) more fiber-rich foods! For your or your child’s next birthday, plan a 100% Paleo party that everyone will love — without stress and without breaking the bank. 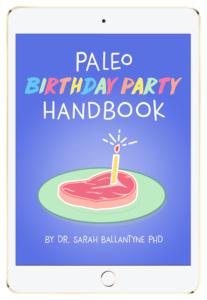 The Paleo Birthday Party Handbook is a comprehensive guide that will help you figure out all the party details—from theme to location to goodie bags—including a comprehensive party game guide, party planning worksheet, and favorite recipes for snacks, cakes, and cupcakes. With the great organizational tools included in thie e-book, you can celebrate your special day while continuing to make progress on your health journey!